iOS 7 is here, and it’s packed full of all sorts of features you don’t want to miss knowing about. Here’s an overview of what you can expect from Apple’s newest operating system, with links to our in-depth articles on each topic. Read Senior Editor Dan Moren's review of iOS 7. As with iOS 6, you’ll be able to update your device over the air using Settings > General > Software Update. 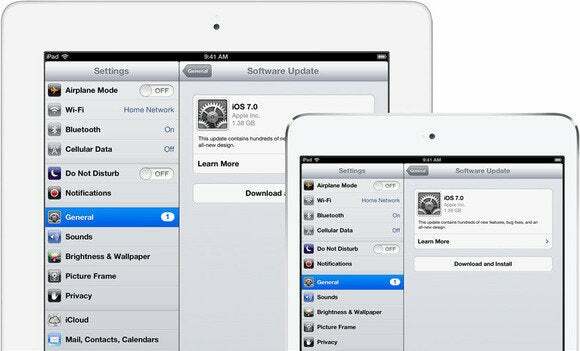 Update your device to iOS 7 for free starting September 18. Once you do, you’ll have to answer some questions about your privacy, security, and iCloud settings. And if you just purchased a new iPhone, iPod touch, or iPad, you may also be prompted to download your free copies of the iLife and iWork suite. iPhone 5s users will also be asked to map their fingerprint for Touch ID access. Read our guide to upgrading to iOS 7. If you’re planning on picking up an iPhone 5s in the near future, there are a few iOS improvements present on just your device. 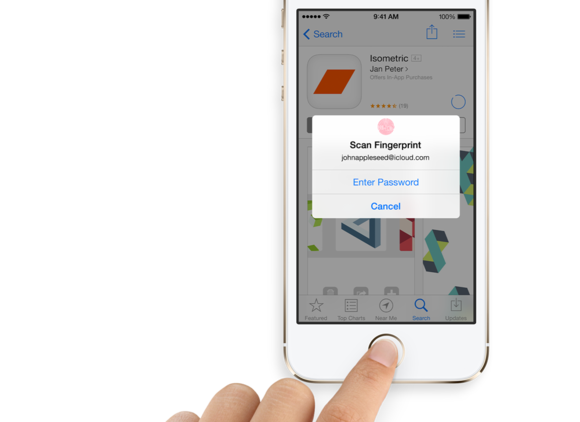 Your iPhone 5s uses its Touch ID fingerprint scanner to let you purchase items on your Apple ID without a password. Your built-in apps work more intelligently with your iPhone’s M7 processor: For example, Maps will be able to know when you’re driving or walking. The iPhone 5s also gets new Camera app features, and the Touch ID sensor allows you instant access to your device at all times with just your fingerprint. Read more about the iPhone 5s and iOS 7. If you’ve seen anything at all about iOS 7, you’ll have noticed that it’s very different in appearance than any previous version of Apple’s mobile operating system. It has new fonts, icons and interfaces sport a flatter look, the OS plays with layers, and there’s not a scrap of rich Corinthian leather to be found. 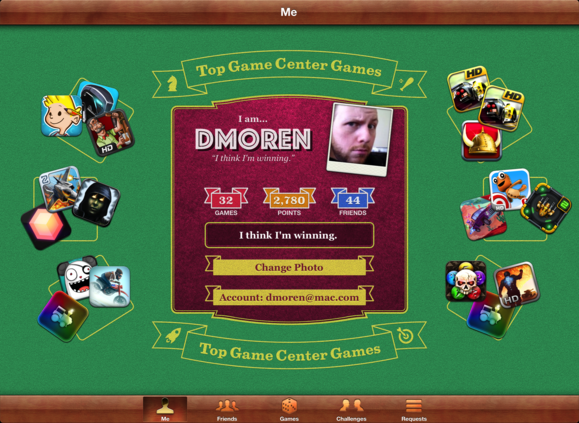 If you like this look, we’re sorry to break it to you—Game Center’s green felt is gone. Every stock iOS app receives a redesign, with some of the most significant changes coming to Safari, Calendar, Camera, Mail, and Messages. System features get major overhauls, too; even the lock screen has been vastly simplified, with edge-to-edge wallpaper and a design that forgoes widgets and buttons for straight-up text labels. A few new gestures are present in iOS 7, as well. You can swipe up from the bottom of the screen for Control Center, pull down on the home screen for Spotlight, and swipe upward on an app while in the multitasking interface to force-quit an app. Read more about iOS 7's new design. 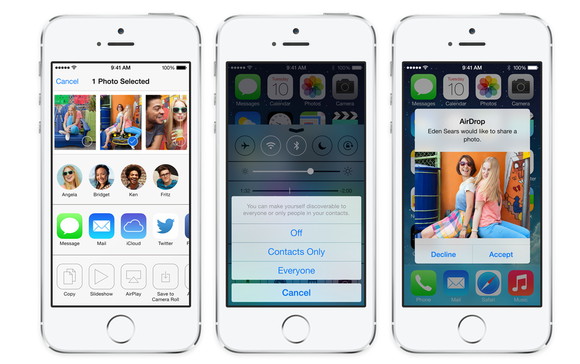 The interface isn’t the only thing changing in iOS 7—a bevy of new features also await users. We’ll go into them in greater depth in upcoming articles, but for now here’s a rundown of the major changes. Apple has revamped multitasking completely. Not only can apps now take advantage of full background multitasking, but the multitasking bar of icons where you managed your currently running apps has said sayonara; a new multitasking carousel replaces it. WHEEEEE! iOS 7’s multitasking interface presents a carousel with live-updating screens of your currently-running apps. Double-press the Home button in iOS 7, and your current screen zooms out into a series of screens—each representing an app you were using—with the respective app icon below. You’ll be able to scroll through them, tap on one to enter that app, or swipe upward on a screen to force-quit the application. 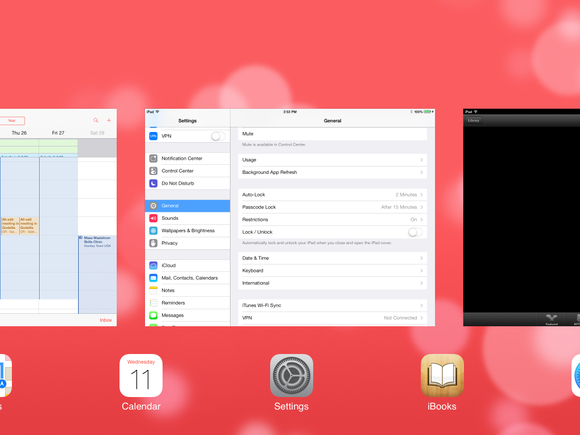 Read more about multitasking in iOS 7. Through this iOS 7 feature, you can access many commonly used settings with the flick of a finger. GROUND CONTROL Use Control Center to change often-used preferences and settings. You can enable or disable Airplane Mode, Wi-Fi, Bluetooth, and Do Not Disturb; adjust the volume and brightness; pause or play music; enable AirDrop and AirPlay; and quickly access your camera’s LED light (for use as a flashlight), timer, calculator, and camera. Read more about Control Center. Speaking of AirDrop, Apple’s wireless file-sharing protocol is coming to the iPhone. You can share files and images with nearby friends using AirDrop. When you want to share images and files with friends nearby, just make sure they have AirDrop enabled (for contacts or for everyone, depending on your level of friendship); their contact image will then pop up in the share sheet. iOS 6’s notifications clearinghouse gets an upgrade in iOS 7 with a new Today view that collects information about your current day. Notification Center’s Today view tells you what you’re up to today. There’s also a new Missed pane that provides a list of any notifications you haven’t yet reviewed. 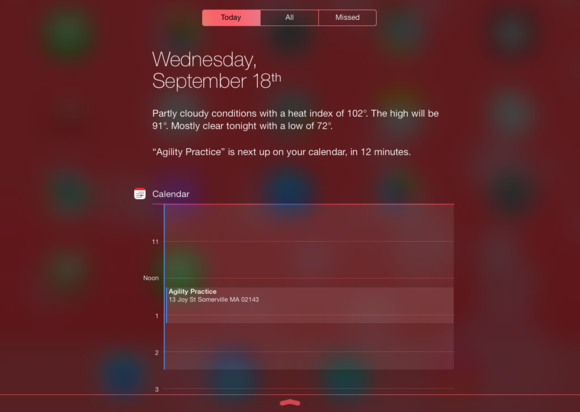 Read more about Notification Center. If you lose your iOS device running iOS 7, there’s some good news coming to you in the form of an update to Find My iPhone. Activation Lock is a new iOS 7 feature that forces would-be thieves to enter your iCloud name and password if they wish to erase and reactivate the lost iOS device. 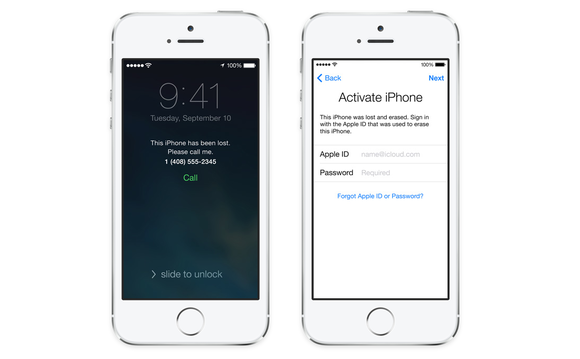 Prevent a lost iPhone from falling into the wrong hands with Activation Lock. And even after you’ve erased your device, your custom Find My iPhone lost message still displays on the screen. Read more about Activation Lock. While Siri’s interface has changed, Apple’s voice-activated personal assistant also gets a little smarter and gains a bit more personality. Siri has a new voice and new tricks in iOS 7. U.S. English, French, and German users now have two voices to pick from—male or female—and those voices have dramatically improved speech processing. Siri also now uses Bing search instead of Google; those results display in-line, though, and you can also search Wikipedia and Twitter. 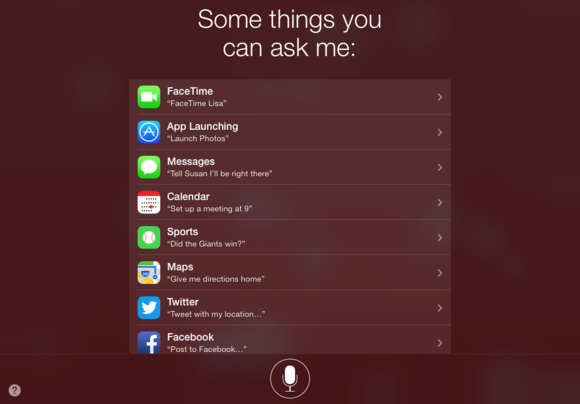 Tasks that Siri already handled to some extent have been improved, as well: Apple notes that the assistant can now return calls, play your voicemail, and control iTunes Radio, with more abilities rumored to await you when you finally get your hands on iOS 7. The Camera app looks to have been both redesigned and beefed up in iOS 7: Not only has the gray interface of old gone the way of the dodo, but certain iOS devices will now have access to live camera filters, a square shooting mode, and faster shooting. 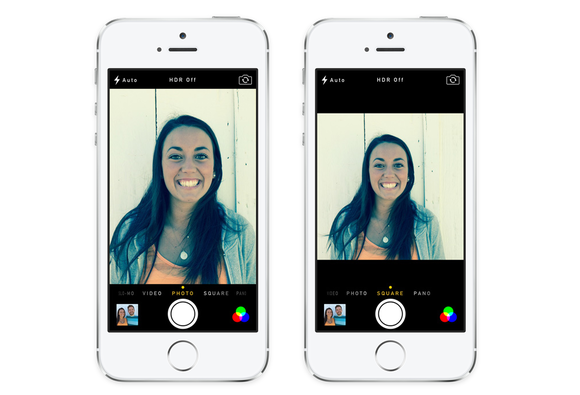 The new Camera app offers new filters for your images and a new Square mode. On the Photos app side, you have a whole new way of displaying images. The app now sorts your pictures into Years, Collections, and Moments, with collections of images appearing as a mosaic of thumbnails. iCloud Shared Streams (née Shared Photo Streams) will let multiple people contribute items to the collection, and those people can add both images and video to the stream. You’ll also be able to see what your friends have posted recently in Shared Streams’ new Activity view. 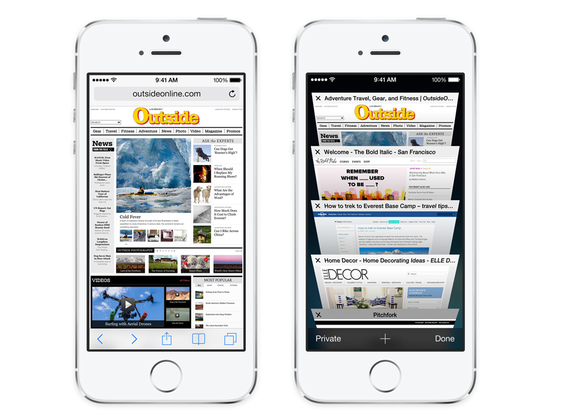 The Safari browser on your iOS device scores some serious changes in iOS 7, too. Besides its new icon, the biggest changes in Safari are its new unified smart search field, a minimized interface, new swipe gestures to go back and forward, a new tabs view, shared links, and quicker access to private browsing. Safari’s new tabs view offers a quick carousel of all your open webpages. Looking for a Pandora-like way to stream your music? iTunes Radio—built into the new Music app in iOS 7—lets you stream songs from featured stations and from those you create. Apple’s iTunes Radio lets you listen to streaming music from all genres. As with Pandora, you can tune your stations by giving iTunes Radio feedback on individual songs and on your stations themselves, and you can purchase any song currently playing for your library, if you don’t already own it. Unfortunately for international users, the service will be available only in the United States at launch. So long, update badge: The App Store of iOS 7 will offer automatic updates for your applications on Wi-Fi or cellular, so you never have to download an update manually again (unless you want to). Updates now install automatically, with a ticking indicator on the app icon. The App Store also replaces the Genius button with the Apps Near Me feature, allowing you to see what’s popular in your area, and adds a new Kids category (based on age) for parents to peruse. There are plenty of other app tidbits and features packed in iOS 7, including new Mail features, a redesigned Compass app, a revised Weather app, and more. We’ll have in-depth articles on every iOS 7 feature and updated app in the coming days; stay tuned!